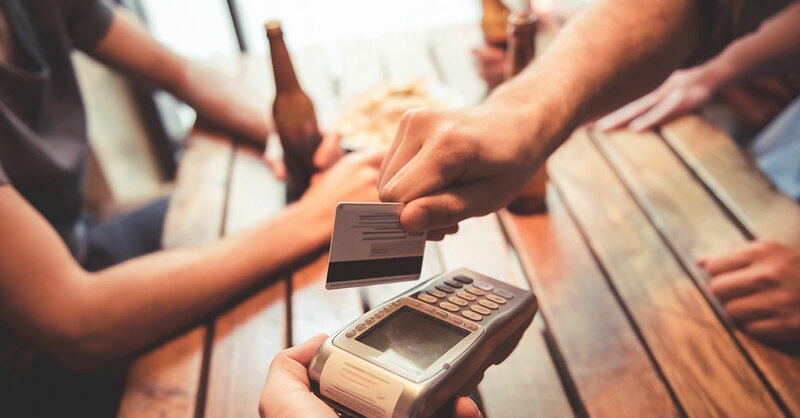 When you pick up the tab for a group so you can get credit card rewards for yourself, your friends and colleagues might neglect to pay you back. Some friends, eh? But that’s often the reality, according to a survey commissioned by CreditCards.com. Here’s a typical scenario: You go out to eat and put the whole tab on your credit card with the understanding that everyone at the table will pay you back his or her share. Your idea is that you don’t spend any more than you would have if the server had split the check…and you get to collect all those juicy credit card rewards points—or even a cash-back reward—which means that your companions have essentially subsidized your meal. Sweet! But if even one person in the group stiffs you or underpays you, that not only may negate any rewards you earned, but it also forces you into the uncomfortable position of either trying to collect without being rude—or just taking the hit. According to the survey, this scenario plays out frequently not only for meals but also when one person in a group pays for concert tickets, theater seats and the like, and your chances are not much better than a coin toss that at some point your quest for rewards won’t leave you stuck unintentionally treating others. What does this mean for you? First, let’s admit that when one person in a group volunteers to pick up a tab with the all-too-obvious goal of scooping up all the credit card reward goodness for that purchase, the intent is not lost on the companions, and it might even leave a bad taste in their mouths…perhaps predisposing them to not really care about paying the money back. Don’t disagree, you know it’s true. Make repayment easy. Most people who pay for groups like to be repaid in cash, with 67% saying they prefer that method—but the preference varies by age. Overall, 24% said they would choose to be repaid with a peer-to-peer money-sharing app such as Zelle, Venmo or PayPal, but young respondents ages 18 to 29 were far more likely to fall into that category. (The preferred methods for making such payments fall along the same age lines.) These youngsters are smart, because it can be easier for the payer to use a peer-to-peer payment app—and it can feel less onerous than having to unearth all that cash from your wallet and hand it over to the rewards-point hog. In short, increase your chances of being paid back by making clear what your preferred method of repayment is, but be ready to accept other methods. And be prepared to take the occasional hit.